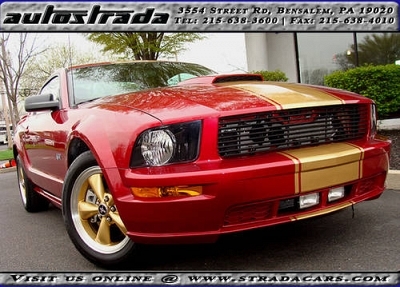 What would Ruby Red look like with Gold Stripes ? Any comments ? Gold was the first color that came to my mind (where ever it is). Other than black or neon green (just kidding about the green), I can't think of another color that might go well with ruby red. Matte black, or even white would look good. Maybe a pearl white stripe. Pearl would be cool but I think a satin or matte finish would add some nice contrast to the car. 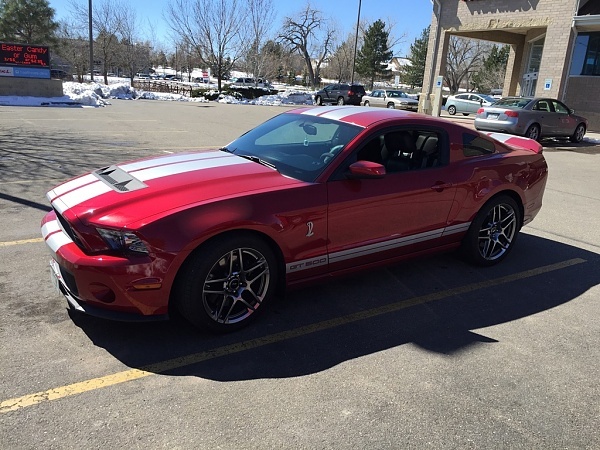 I have a Candy Red and i decided to put Silver Stripes on. Looks best imho. I have seen white and black, but not a fan of it. There is a specific reason I am inquiring about gold. With gold wheels. I've thought about it and I'll tell you why I am considering going for that specific look. Holman Moody has a TdF Mustang in Race Red. I'm thinking about one in Ruby Red. As Ruby is very close to Candy Red, here is the best option i found on the web... Doesn't look bad IMHO. Red Brembos with Perf Package?